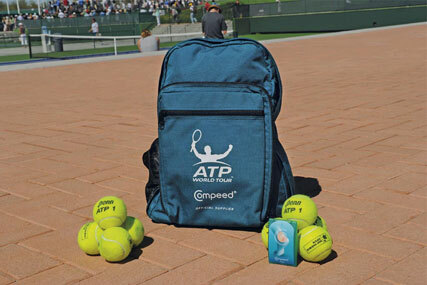 LONDON - Compeed, the Johnson & Johnson-owned brand, has appointed Velocity Sports & Entertainment to handle its global sponsorship of the ATP Tennis World Tour. The blister and foot-treatment brand announced a two-year partnership as an official supplier to the tour last month. The affiliation extends to ATP medical staff, who treat professional tennis players at all 62 of its tournaments around the world, as well as at the Grand Slam events. The brand will also be responsible for interactive consumer advice, such as the ‘Form and Fitness' section of the ATP website. Velocity Sports & Entertainment will handle all activation marketing, including on- site promotional events, guest hospitality, ATP relationship and asset management, and other brand activities across each of Compeed's partner tournaments. The agency is also responsible for developing an overall sponsorship strategy for Compeed.